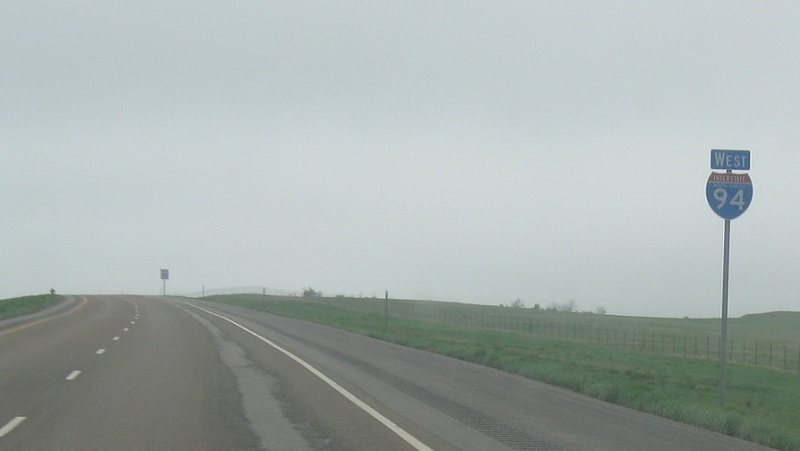 Reassurance shield after the US-85 interchange. 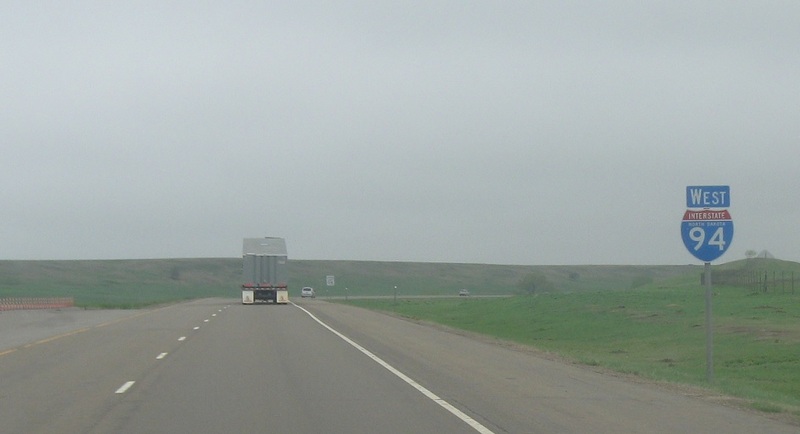 Reassurance shield after 136th Ave as we enter Billings County. 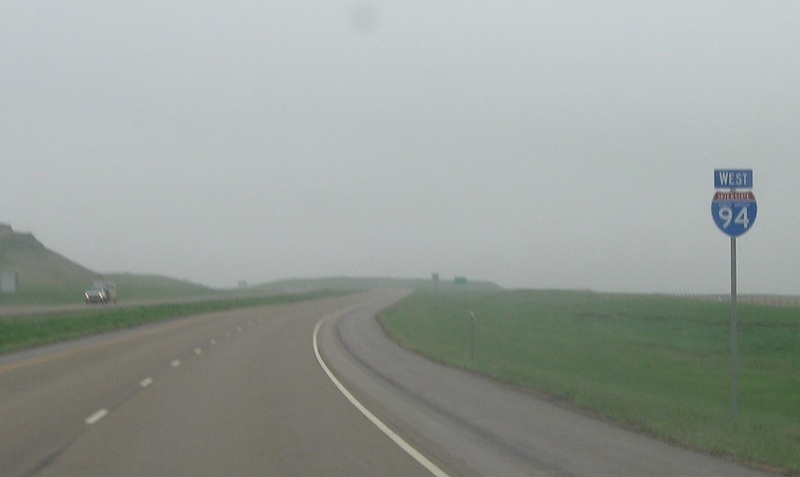 Reassurance shield after the Painted Canyon Interchange as we start to enter Badlands country. 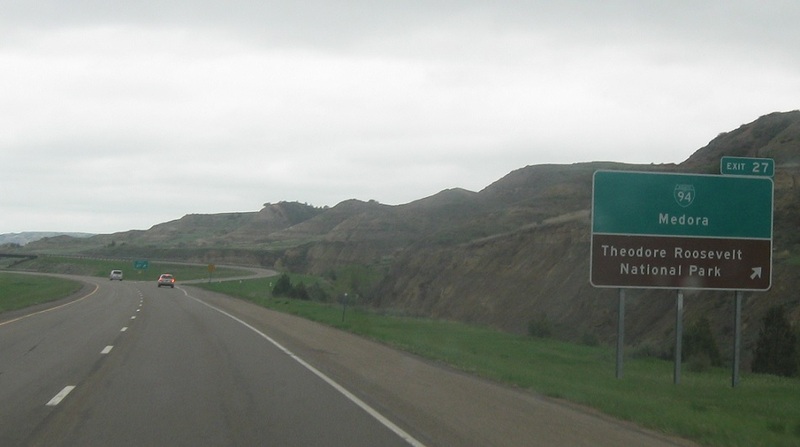 A few miles later, we’ll approach the Medora business loop. 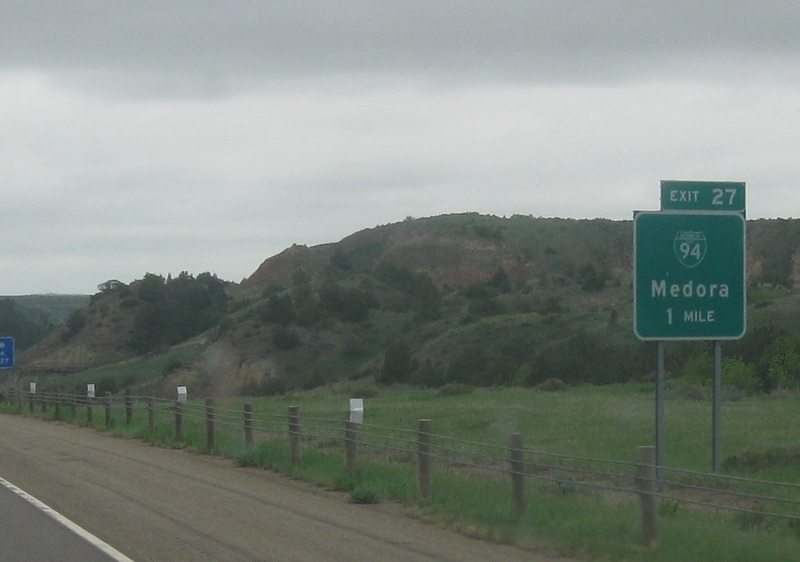 Exit for 94 Business, which heads into Medora, which is a mile or so off the freeway.